BBB BSG-48 Impress small glasses are designed specifically to fit smaller heads. A smaller, tighter frame provides an ergonomic hug taking your mind off your glasses and allows you to concentrate on the road ahead. Fitted with 100% UV protection lenses, there's also the option of clear and yellow interchangeable lenses to suit varying light conditions. Lens shape gives protection against sunlight, dust and wind. PC frame with adjustable rubber nose piece. With extra lenses: yellow and clear. My wife always has problems finding glasses that fit. These work great will probably order another pair. Perfect for my 8 year old son. He loves the interchangeable lenses. Good for my 10yr old son, as a smaller fit. Probably the best cycling specs I've ever bought, particularly the fit. cycling glasses. Will be using them for Nordic skiing next winter as well. Excellent glasses at a great quality. Very comfortable and the fit for smaller faces is perfect. 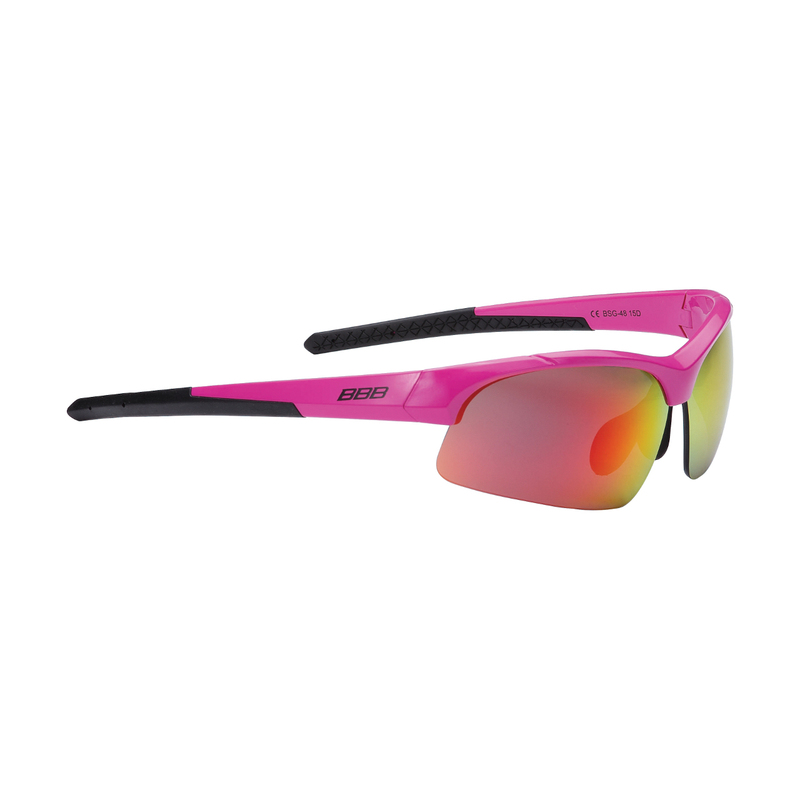 They come with a nice soft pouch and the clear, yellow, and tinted lenses are easy to clip in and out. A good fit for my 8 year old, slightly on the big side but should be ok for 2-3 years. Comes with clear, sun and yellow lenses, presumably for snow conditions. My son thinks they are 'cool'. Overall very pleased with this product.